Use QuickBooks 1099 Forms to report payments of $600 or more to non-employees or unincorporated businesses. QuickBooks 1099 Forms are also used to report payments of $10 or more in gross royalties or $600 or more in rents or compensation. 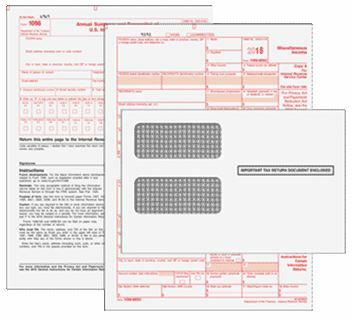 2018 Pre-Printed QuickBooks 1099 Forms are designed to print directly from QuickBooks and put information in the correct blank section of each form. Available in quantities as low as 10 so that small businesses can buy only the forms they need.